Cristina currently serves as Lead, Privacy Advocacy and Thought Leadership within the privacy and cybersecurity practice at PwC-Canada. She brings expertise in privacy compliance and government relations to client needs across e-marketing, interest-based advertising and emerging technologies such as IoT, and automated vehicles. Cristina is both the Chair of the Marketing Committee and a board director of the Public Affairs Association of Canada (PAAC). She also serves on the boards of the Digital Advertising Alliance-Canada (DAA-C) and the European Union Chamber of Commerce in Canada (EUCCAN). 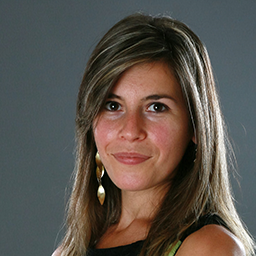 Prior to PwC, Cristina was Director of Government Relations at the Canadian Marketing Association (CMA). She has also served roles in the government of Ontario and the EU Parliament in Belgium. Cristina holds an MA in International Affairs from the Munk School of Global Affairs at the University of Toronto and an executive certificate in Cybersecurity Policy from the Harvard Kennedy School of Government. She is certified in privacy by the IAPP and in digital marketing by the CMA.